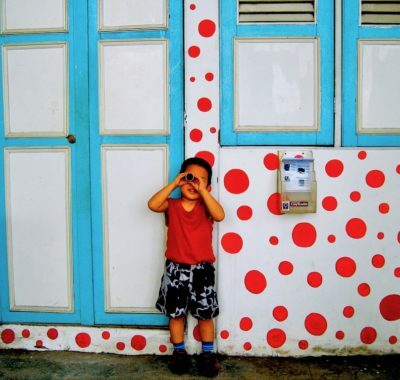 Do you believe that children deserve to be treated to the same quality of theatre as grown-ups? 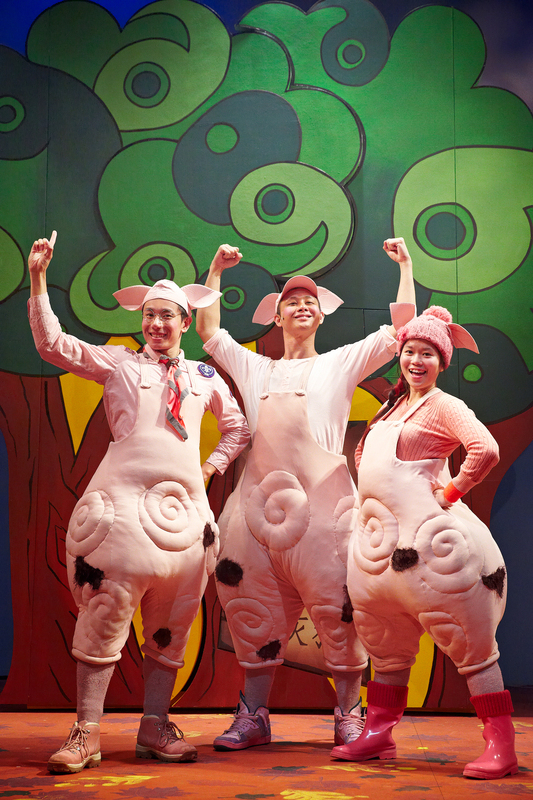 Well, if you do, you’d want to bring your kids to the Singapore Repertory Theatre’s (SRT) The Little Company – critically acclaimed adaptation of The Three Little Pigs. 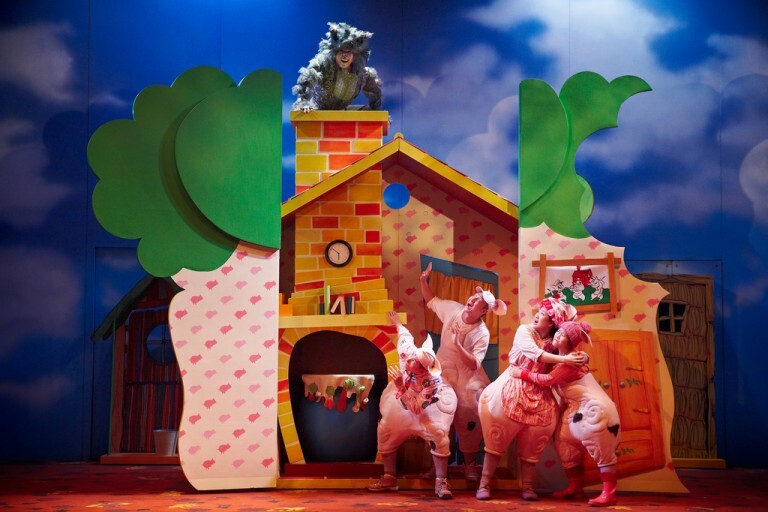 Owing to the massive success of both its English and Mandarin productions back in 2013, The Little Company’s The Three Little Pigs is all set to make a comeback this August! Since having been selected for the NAMT (National Alliance for Musical Theatre) Festival 2013 in New York, the musical’s popularity has spread like swine fever! It was even staged at The Greenwich Theatre in London and The Sydney Opera House in Australia, before playing in Finland and in a few major cities in China. Danny Yeo, Director of The Little Company’s The Three Little Pigs, tells us more. “The Three Little Pigs is one of The Little Company’s most loved children’s productions and it is my third time being involved in this musical. I enjoy seeing how the audience react to the Pigs’ personalities, reflecting their own at the same time, as well as recognising the different talents we each have. The production started off as a conversation with Laurence Olivier Award-winning creative duo, lyricist Anthony Drewe and composer George Stiles (the team behind the Mary Poppins musical) five years ago. Drewe shares his thoughts on tailoring the musical for young ones. “With The Three Little Pigs (whom we have named Cha, Siu and Bao!) most children will know the basic story, so our job was to reinvent it in a theatrical way with hummable, memorable songs and with fleshed-out characters the audience will empathise with. Writing for younger audiences is a great responsibility and one we take very seriously, since we know for some this will be their first visit to the theatre and we want to encourage and nurture audiences of the future by making sure their first experiences are wonderful. This endearing tale that will huff, and puff and blow you away will also teach children how success can be achieved through hard work and perseverance. 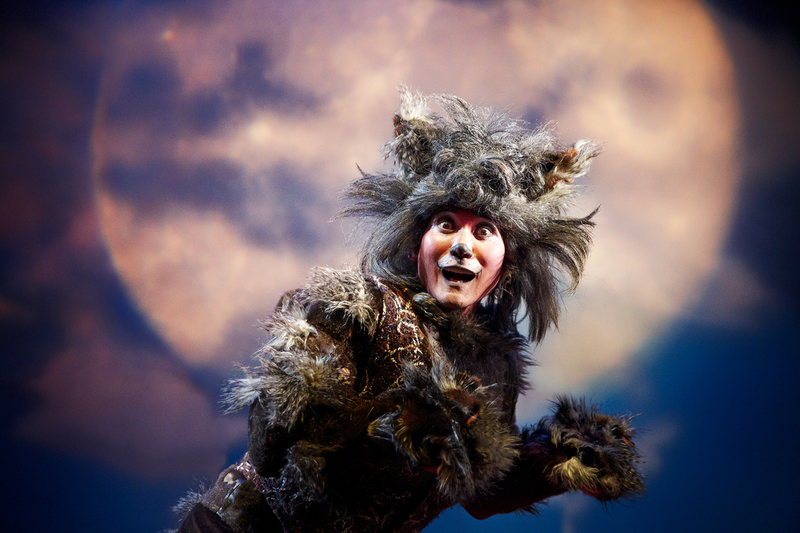 It’s packed with humour, so it will ensure that kids are left squealing with glee and howling with laughter! If you have been looking for the right platform to introduce your child to theatre and the fairy tale genre, look no further! The Three Little Pigs will also introduce your little one to positive moral values and crucial life skills. 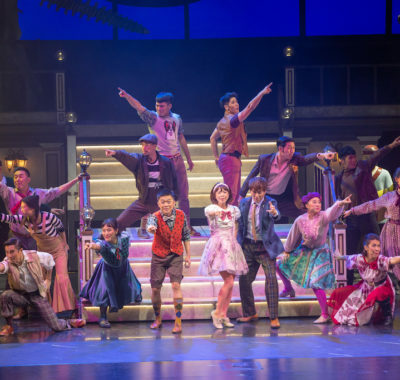 Ready to be blown away by this well-loved musical? We have 12 tickets (3 winners x 4 tickets each) to The Three Little Pigs by Singapore Repertory Theatre’s The Little Company, to give away. An original adaptation of the classic fairy tale, The Three Little Pigs teaches children how success can be attained – through hard work and determination! Embark on an adventure with the The Three Little Pigs as they fight the Big Bad Wolf using their charm and wit! The trio of little superstar piglets, their devoted single-parent Mum and the misunderstood Big Bad Wolf come together to present young audiences the perfect ‘Great Big Little Broadway Show’. 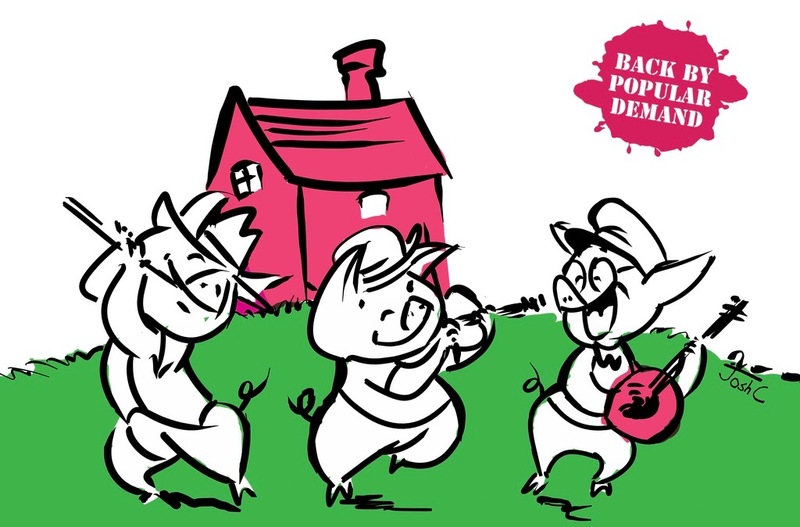 Have a ball of a time watching how the pigs set about defeating the Big Bad Wolf! Leave a comment below informing us that you have done it. Sit back and chill while waiting for us to contact you should you be a winner! Collection will be at the box office of KC Arts Centre, Level 1, 20 minutes before showtime. Winners will be required to produce their NRIC to claim their tickets. Giveaway applicable in Singapore only. Giveaway closing date: Monday, 1 August 2016. The Three Little Pigs by SRT’s The Little Company will be playing from 4 August, Thursday to 16 September 2016, Friday at KC Arts Centre. Weekdays: 10am, weekends and public holidays: 11am & 2pm. Tickets are available on SISTIC. Check out their website for information on all their past productions for children. Shared, liked and commented. Hopefully I can win the tickets for my son’s birthday! Hope to win this giveaway to bring my 2 boys to watch this wonderful play..
May I be Heng Heng and win this tickets to bring my boys to the show!! Liked and shared. Lena chen. Like and shared on FB. Liked and shared on Facebook. Hoping to bring my 3 kids to watch this production! I have shared. My son has always been afraid of the big bad wolf…hope he will learn from the show that it’s the wits that overcome the fears! Liked and shared! Thank u! shared post! liked post! hope to win for my 4 year old son! Liked and shared done fb: Sandra Sandora Thank you for the giveaway. From pretending to be the baby pig when I was young to now being the big bad wolf to my girl..
Hope to obtain the tickets and share them with a friend and her sons. Liked and shared hope to bring my boy to this bet he’d enjoy thanks for the giveaway hope to win! Liked and Shared in Facebook. Hope to win the tickets for my kids who love 3 little pigs. Liked and shared. My son will love this!! Liked and shared. Hope I can bring my family for this fun filled show. My boys love the story of the three little pigs.